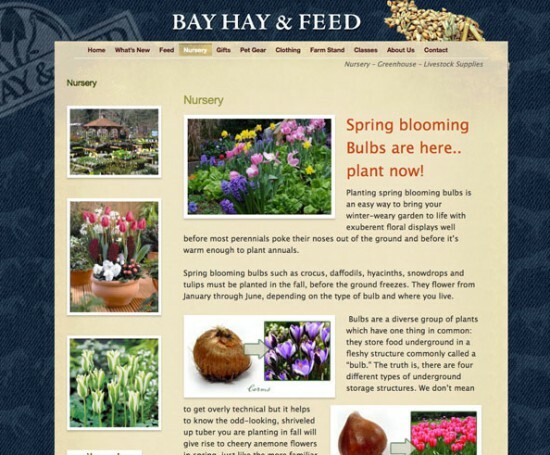 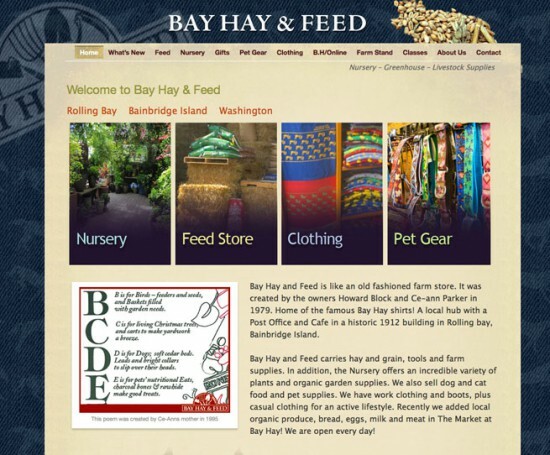 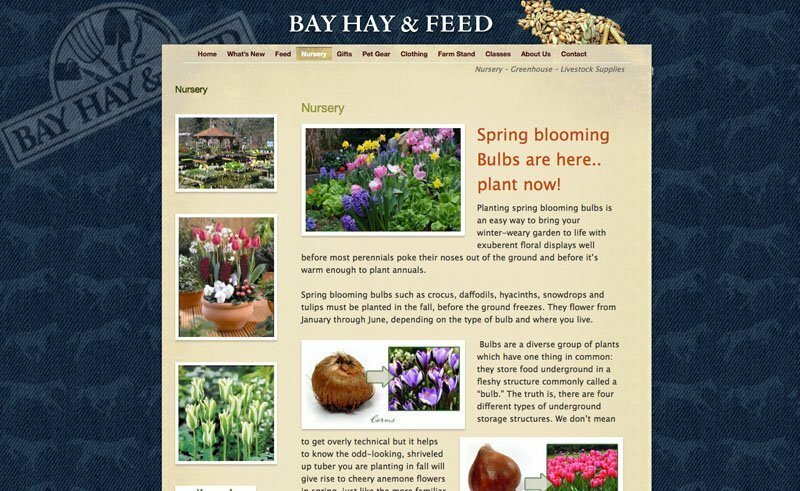 Bay Hay and Feed is a marvelous store on Bainbridge Island. 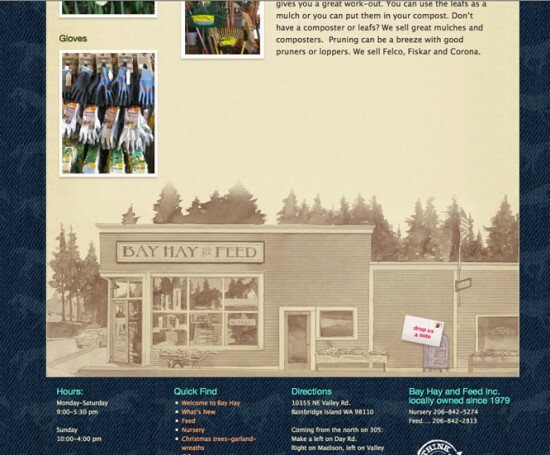 From hay to chickens to seed, to Carharts and Smartwool, Bay Hay is a destination. 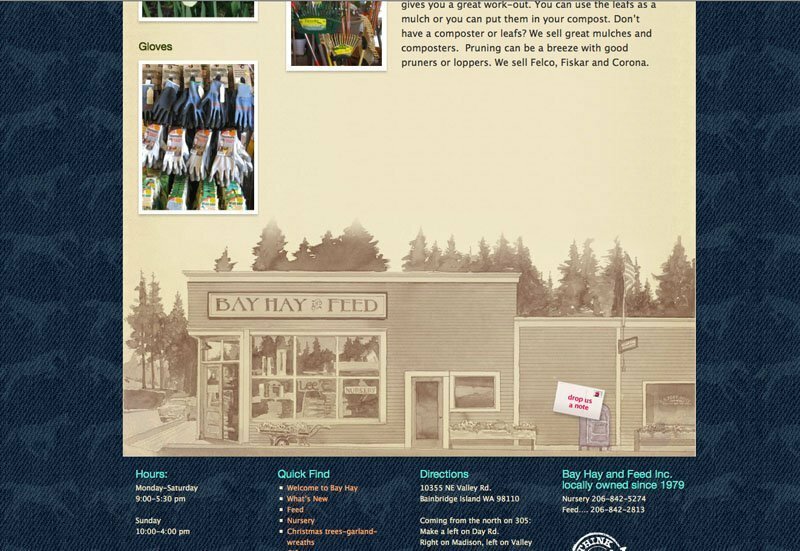 Develop a site that conveys the nature of the store while making it easily updated. 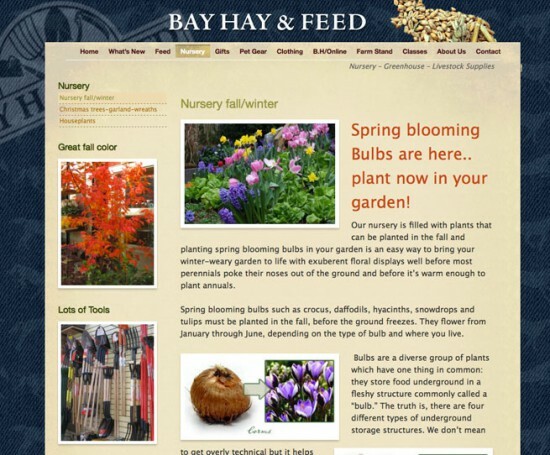 Provide for online sales of some items and up-datable listing for classes being offered. 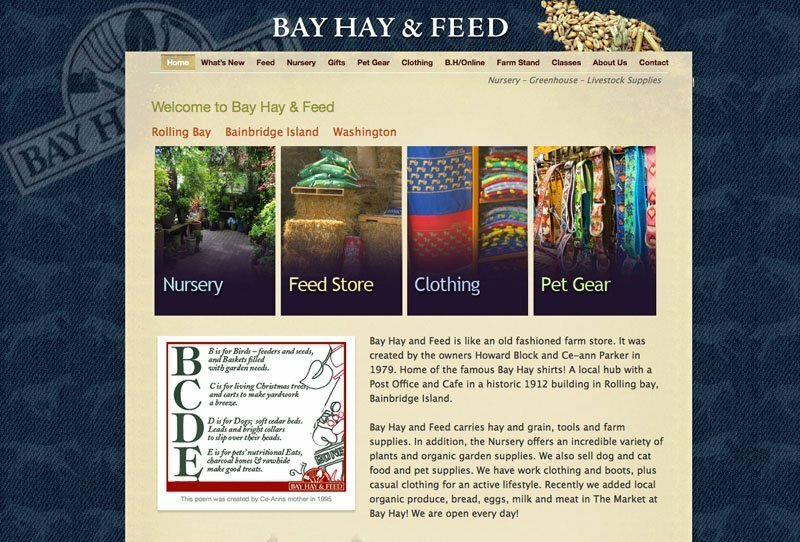 I gave it a look of jeans and wood, incorporated an existing logo and graphics, and made the photos appear as if in an album. 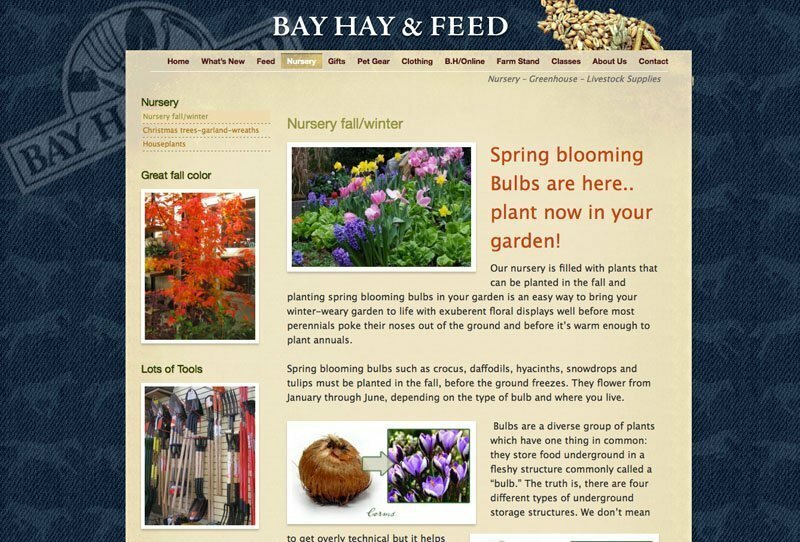 The client immediately took full charge of site updating.